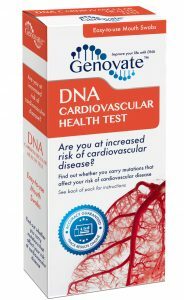 Home Health Cardiovascular Health Did you know DNA affects your cardiovascular health? 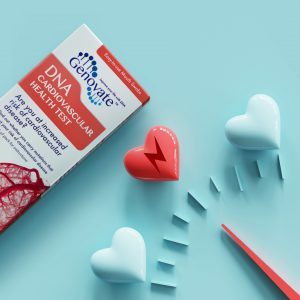 Did you know DNA affects your cardiovascular health? “Is there family history of heart disease?” A simple question present in every intake form, whether it is at the walk-in clinic or at your new doctor’s office. You may think the question is odd or out of place. 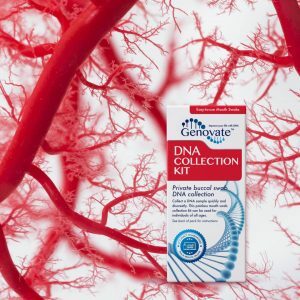 But, family history gives doctors an important clue about your cardiovascular health, based on your genes. 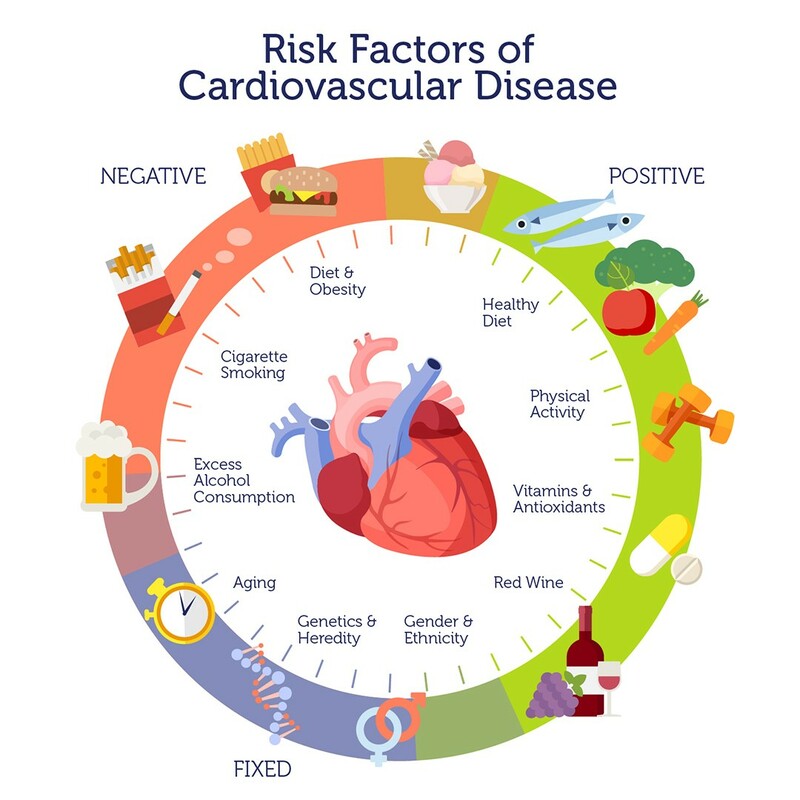 Cardiovascular disease (CVD) is an all-encompassing term that involves all conditions affecting the heart and blood vessels. This includes coronary artery disease, angina, heart attack, stroke, and arrhythmia. It is the number one cause of death in the US, claiming over 600,000 lives each year. We know that poor lifestyle choices, (e.g. 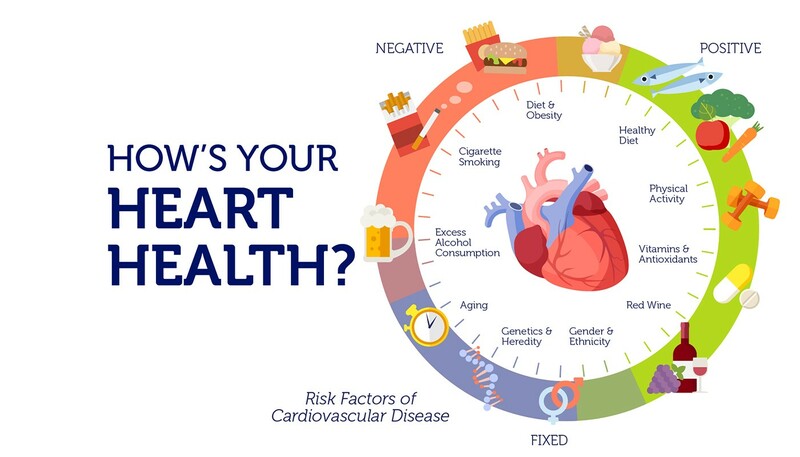 physical inactivity, unhealthy eating habits, excess alcohol and smoking), increase the risk of heart problems. But, did you know that for some of us, the risk is even higher, because we have inherited variants of certain genes? Most genetic variants that predispose us to CVD affect the storage, metabolism and transport of lipids (fats). Triglycerides and cholesterol are the main culprits behind the risk of cardiovascular disease. Triglycerides (storage lipids) are an essential part of our diet. They act as a source of energy between meals. But, high levels of this fat are associated with poor cardiovascular health. Cholesterol is another type of lipid. It is an essential structural component in all of our cells, and an important molecule for the biosynthesis of steroid hormones. The link between cholesterol and CVD depends on how cholesterol is transported, which is via lipoproteins. Two lipoproteins are the most relevant to cardiovascular disease – low-density lipoproteins (LDLs) and high-density lipoproteins (HDLs). LDLs transport cholesterol in the blood and can build up in the walls of blood vessels blocking them. HDLs are the “good” lipoproteins. They remove cholesterol from cells, taking it to the liver to be excreted. Low “good” HDL-cholesterol levels, high levels of “bad” LDL-cholesterol and triglycerides, can increase the chance of a heart attack. In fact, the relationship between triglyceride levels and HDL-cholesterol is one of the best predictors of cardiovascular disease risk. Not so surprisingly, many of the genetic changes linked to cardiac health affect lipid levels. For example, changes in the lipoprotein lipase (LPL) enzyme reduces triglyceride breakdown, causing these fats to build-up in the bloodstream. Likewise, the MMAB (mitochondrial enzyme cob (I) alamin adenosyltransferase) protein normally breaks down cholesterol. People with variants that produce too much of this protein have lower HDL-cholesterol levels, and are at higher risk for cardiovascular disease. In contrast, variants of the CETP (cholesteryl ester transfer) protein can elevate HDL-cholesterol levels and offer protection from heart disease. These are only a few examples of the many genetic changes linking triglycerides and cholesterol to cardiovascular health. You have no control over the genetic risk for disease that is passed on to you, yet all hope is not lost. Studies show that healthy habits can drastically reduce or even eliminate the genetic risks of heart disease. Thankfully, we live in an era where the means necessary for healthy living are at our fingertips. Maintaining the health of your heart has never been easier. 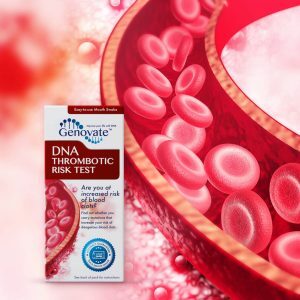 Find out your risk with the DNA Cardiovascular Health Test. Previous articleDid you know the APOE gene can affect your risk of cardiovascular disease? Next articleDid you know DNA changes cause hemochromatosis? Did you know all Jewish Cohanim descend from a common ancestor? Did you know descendants of Prince Branciforte Barresi refused to give DNA samples to authenticate his remains? Did you know DNA analyses finally identified the true identity of Anna Anderson? Did you know the eruption of Mount Vesuvius froze Pompeii at 79 AD? Did you know you the Merovingians buried closely related people together? © Copyright 2018 © Genovate All Rights Reserved.